Choosing between Keto Fridge and Grandcestors, you are faced with a rather difficult task. Both services have unique qualities that make them highly popular among hungry customers nationwide. However, that does not mean that the choice is impossible to make, as one of these services does have a bit more to offer. Our Keto Fridge VS Grandcestors comparison below allows you to discover what it is that makes these two services different from each other, as well as which one constitutes a better choice. Keto Fridge is a one-of-a-kind meal delivery service whose entire menu is ketogenic. It offers everything from ready-made keto meals and sides to keto snacks and drinks. It is single-friendly, vegetarian-friendly, and allergy-friendly, and it allows you to shop subscription-free. Grandcestors allows you to shop commitment-free and stock up on Paleo meals made of high-quality, natural ingredients and inspired by traditional American cuisine. Keto Fridge does not offer meal plans. Instead, it offers an a la carte menu that changes weekly. Keto Fridge's weekly menu features about 70 ketogenic food and drink items. Keto Fridge offers ready-made keto breakfasts, lunches, dinners, pizzas, protein entrees, side dishes, sweets, savory snacks, and beverages, including cold brew coffee, teas, and juices. All items are keto (low-carb) and gluten-free. There are many dairy-free options. Pizzas, snacks, and side dishes are often suitable for vegetarians. Keto Fridge uses fresh, high-quality ingredients. However, the ingredients are not organic and there is no information on whether they are sustainably sourced. Keto Fridge food items do not come in large portions, but they are highly satisfying. The average calorie count per serving is 600 to 800 calories. All meals follow the rules of the ketogenic diet and contain about 75% fat, 20% protein, and 5% carbs. Keto Fridge offers absolute flexibility, with no subscriptions or meal plans. You can order as frequently as you wish and pick as many items as you like, as long as their total value is not lower than $69. If there is something wrong with your Keto Fridge delivery, you can request a refund within 24 hours after you receive the shipment. With Grandcestors, you pick your meals from one menu. Grandcestors features 7 meal options on its menu. Grandcestors does not change its menu. It offers a limited selection of Paleo meals inspired by classic dishes, with turkey, chicken, and beef as primary sources of protein. You can enjoy such traditional dishes like cottage pie, meatloaf, and Thanksgiving stuffing. All meals are free from grains, milk, soy, and legumes. Grandcestors offers meals made of natural, wholesome ingredients. Its meals are free from added sweeteners and artificial substances. It uses grass-fed beef, free-range chicken, and high-quality fats like coconut oil and olive oil. The calorie count for Grandcestors meals is between 280 and 510 calories per serving. The meals come in 12 oz. to 14 oz. portions. The meals are nutritionally balanced, with 40% of calories coming from carbs, 30% from protein, and 30% from fat. Grandcestors is not a subscription-based meal delivery service. Grandcestors does not provide any information about its refund policy. KF has never failed me and I’ve been ordering for months now. Always fresh, always tasty, and best of all, EVERYTHING is keto! I’m not much of a cook and honestly, I would’ve given up on keto a long time ago if I hadn’t found KF. Trust me, try it once and you’ll be hooked. I would’ve given it 5 stars easily if I could actually afford to order regularly. Best keto meals ever, no doubt about it, my friends all agree, but these are restaurant prices and considering that the portions aren’t big, they could really be lower. I hope the folks from Keto Fridge are reading this, because it really is a shame, I’m sure more people would order if a meal didn’t cost 17 bucks. Chicken Tikki Masala: Very mild flavor and a sodium content of 930 mgm/serving. Won't buy it or other products again. The meals are pretty bland, not worth the cash. I like the food and it is really convenient, but there is literally no variety, same meals over and over again. I’m in college and can’t cook, so I occasionally buy Grandcestors meals, just so I have something in the freezer. Not that bad, but not that good either . If you are on the keto diet and tired of meal delivery services that just claim to be keto-friendly, Keto Fridge was made for you. This meal delivery offers super-delicious prepared meals, snacks, treats, and drinks, all in perfect accordance with the rules of the ketogenic diet. 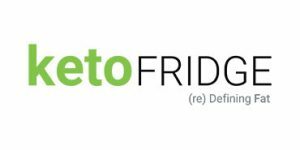 Read more about this extraordinary service in our Keto Fridge review.